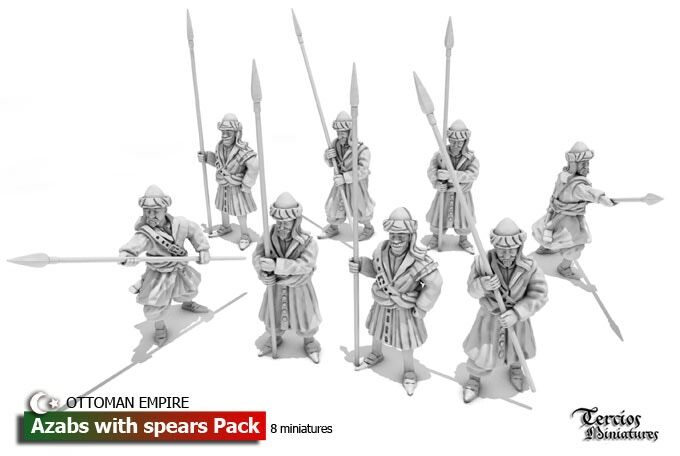 El Kraken Released launched a kiki campaign to develop a 28mm range of OttomanTurks by Tercios Miniatures. 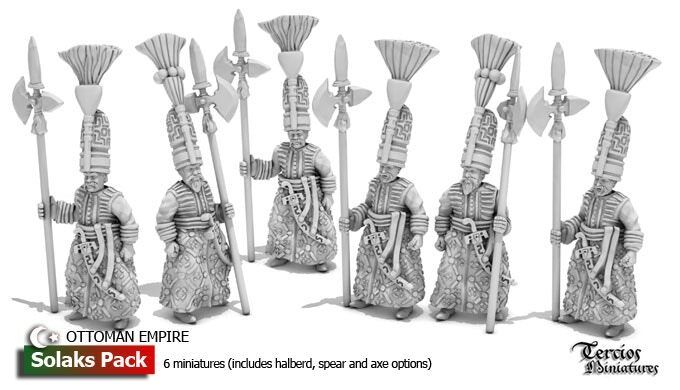 What is interesting with this army is that it is compatible with several periods. Interesting! More figures in the site. I like the reference to the Turkish hero Seyit in the artilleryman who carries the heavy bullet! Looks great. 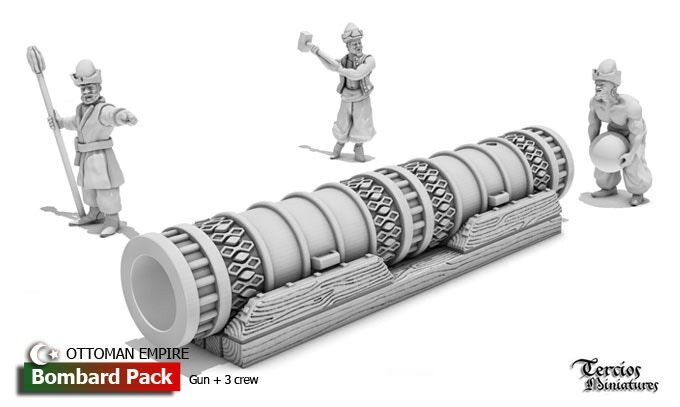 I wish someone would do an early 16th Janissary with arquebus in 28mm. Can anyone tell me what date these figures are for ? It looks like 1520-1530, but how late could they be used for ? How long more will we have to wait to see Jannisaries in campaign dress, i.e. without the ubiquitous (for wargame miniatures only…) hak bork hat that was only worn on parade, while on campaing a more common turban or fez would have been worn. 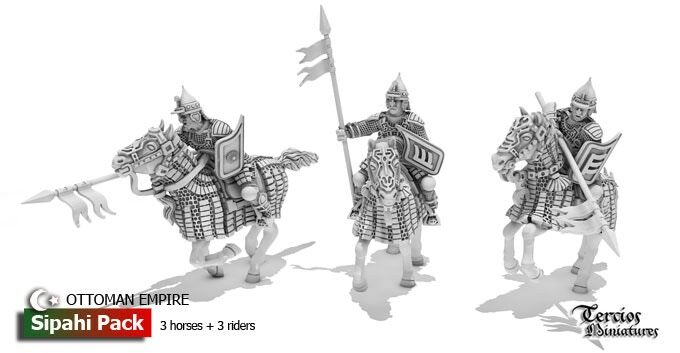 Also while I assume some of the Sipahis would ridden fully armoured horses, a large part of the army would have not..May I suggest more campaign dress and less heavy armour would be a better representation of an Ottoman Army on campaign, assuming this is the scope of this nice range? Jannisaries mostly wearing turbans on campaign does not seem to have been until the 17th century. The patterned headgear in the "Solaks" pack is not correct for Solaks and it does not seem to be a Peik helmet either.